Born January 28, 1940 in Mullen, Nebraska. Growing up in Nebraska, Garlan or 'Fitz' as he is known to most, was an 'All Around Athlete' who excelled in several sports such as basketball, track and boxing. He was exposed to soccer while serving a church mission in England. Upon his return in 1965 he joined the BYU soccer team was part of the team that won the 1970 Daynes Challenge Cup. Garlan joined the Hellas S.C. in 1972 that represented Utah in the U.S. Open Cup for several years which included opponents such as the San Francisco Greek-Americans and the L.A. Maccabees, perennial National Champions. He started the Orem City Soccer Club in 1973 and was an active member through 2009. In addition to his very long playing career, Garlan is also responsible for starting the high school program throughout Utah County. In 1971 he started the soccer program at Provo High School and shortly thereafter moved to Orem High School where he created a dynasty winning 15 Region titles and 7 trips to the State Championship game, winning four of them. He retired from high school coaching in 1998. 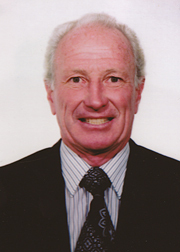 Garlan earned his USSF National 'A' license in 1986 doing clinics throughout the western United States and coaching a number of youth teams over several decades. He was also instrumental in starting the youth leagues in Utah County that are now part of the UYSA. In addition, Garlan was heavily involved in officiating and refereed hundreds of games over the last 25 years, from youth to the college level.